The Imperium had been hyping it for days. Keepstar timer, 0030 on Friday. In the unassuming lowsec system of Aeschee, more than seven hundred pilots formed up from Goonswarm Federation alone, joined by hundreds more from Snuffed Out, The Bastion, The Initiative, Test Alliance Please Ignore, and others. Imperial Legacy was not just going to take down a defenseless Keepstar as it onlined – they were going after an active, hostile, guns-online Keepstar owned by Shadow Cartel, an alliance that conspired against the Goons in 2016’s Casino War. Would this finally be the night that enemy ships would form up and give the Goons the gud fite they’ve been desperately seeking for weeks? The Keepstar was not merely killed; it was the victim of a public humiliation that almost made this writer embarrassed to take part in it. In a deliberate attempt to avoid ti-di, titans and other capital ships led the initial charge, with subcaps sitting patiently off grid in case they were needed. The capital ships laid into the Keepstar, taking fire but dealing out much more in return. The fight could have been over in a matter of minutes. The titans rapidly dropped the Keepstar to around 30% hull…and then stopped. There was no opposition. No reason to rush. Out of the 1,679 pilots in local chat, more than 1,500 were members of the fleets attacking the Keepstar. Shadow Cartel, whose recruitment ad says they offer “regular PvP fleets across multiple time zones” and “a wide variety of PvP content on all scales,” simply refused to show up. They would rather accept a 320 billion ISK lossmail than give battle. With guns un-grouped, the capital fleet calmly applied just enough damage to keep the repair timer paused. The subcap pilots, who had showed incredible discipline by holding position when they knew a Keepstar was dying nearby, were finally given the go-ahead to get on grid and begin attacking. Once everyone had gotten in on the killmail, the titans opened fire again, and the Keepstar blossomed into dust. One thousand five hundred seventeen pilots got a 320 billion ISK bonus to their zKillboard, not because the fight was hard and needed so many pilots, not because it was a desperate race to kill the Keepstar before the timer ran out…but because the enemy was so cowardly, so unwilling to fight, that the Goons and their allies could take all the time in the world to let everyone participate. That is a public shaming. Shadow Cartel’s recruitment ad says they offer “a Keepstar to live out of,” so that will probably have to be updated. As Shadow Cartel is a lowsec corporation and not a formal member of any of the null-sec coalitions currently fighting against Imperial Legacy, this fight would not seem to have any strategic implications for the Great Western War against PanFam, GOTG, et al. However, one must consider the circumstances of the fight. Imperial Legacy brought more than 1,500 pilots to bear on a random Thursday night (USTZ) / Friday morning (EUTZ). Those are staggering numbers, and any strategist in PanFam, GOTG, or Winter Coalition must reckon with them before planning any offensive or defensive operation. Indeed, it seems that hiding behind cyno jammers may be the only strategy that does not result in immediate annihilation. Although the battle did not concern them personally, it is plain to see that the enemies of Imperial Legacy understood what was at stake. The battle report linked above shows that members from Pandemic Horde, SLYCE, and Circle-of-Two, among others, were present at the fight. In the numbers they fielded, it was clear that they were never going to save the Keepstar, but they clearly got the picture: the Goon steamroller is steamrolling. The message sent to Imperial Legacy’s enemies is simple: “This could be you.” This Keepstar was dunked merely because we could, and as one stop along a path towards revenge against a number of the Imperium’s enemies. It sends the message: Fight us if you dare – and it is plain from the past several weeks that the enemies of Imperial Legacy do not often dare. Editor’s note: This article was updated with minor changes to provide historical context and clarity. Waw…very brave for goons and allies to show their might and power against a low sec alliance with 529 members. An alliance not member of northern forces or involved in the war so far. Lets see you guys tonight if you have the balls to take the keepstar in DW into structure. You want to tell the rest of the eve comunity that the mighty goony goons and allies stump on a cyno jammer? What is a cyno jammer compared to a 31k members alliance that threatens to lay waste to anyone that stands in it’s path? And pls let us, the eve comunity, know how many members this imperium legacy soon to fail coalition has? Shadow Cartel was on the list of Alliances having received RMT ISK in the Casino War. This Keepstar wasn’t killed because we could. It was killed because we want our pound of flesh from our enemies. is there a public list of Alliances alleged to have received RMT ISK in the Casino War? Thanks for pointing out a serious oversight: I spent the entire article referring to Shadow Cartel as an “enemy” of the Goons but forgot to give the historical context behind that accusation. I’ve contacted my editors about putting in a clarification. Thanks again! Keepstars do not put out enough damage or defend against enough damage.A Keepstar should be harder to take down. Only if CCP simultaneously removes the mechanics that allow Citadels to TiDi-tank and makes killing them a straight up DPS/reps race. I can’t speak for all of the Imperium, but I’m not mad at anything. We got revenge on some people who did us dirty, and I got a 320b killmail. I’m quite happy. As you say, Shadow Cartel has 500 members. Do you know how many were present at the fight? Eleven. SLYCE brought more than twice as many. Pandemic Horde brought more than three times as many, as did Federation Uprising. 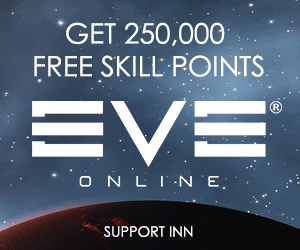 When third-parties outnumber them in the defense of their Keepstar, the Keepstar so important to them that it’s mentioned by name in their recruitment ad, that’s shameful. Shadow Cartel would have known this was coming, because this was the final timer on the Keepstar. If they had half a brain, they would have reached out to Imperial Legacy’s enemies and offered the opportunity to put one over on the Goons. After all, the Imperium’s enemies often say that Goons don’t know how to PvP or can’t win fights. SC is a PvP specialist alliance. With any reasonable number of their own people showing up, and with pre-planned assistance from other people interested in defeating Imperial Legacy on the field of battle, this could have turned out very differently. That it didn’t is either cowardice or ineptitude, and I don’t particularly care which, because I’m satisfied regardless. Look, I get it. You are the “author” of this “article” and so you feel that you have to defend it. Shadow Cartel doesn’t mean anything special to me and I question why a 500 man alliance needs a Keepstar. I’d say that deploying an asset you have no chance of saving is ineptitude. You can keep spewing your narrative of “They wronged us and this is payback!” all you want, but this was nothing more than low hanging fruit and good PR for the goon line members. And we all know Goons always need as much of both those things as possible right now. After all, how badly could a 500 man alliance have wronged the mighty Imperium? I stopped counting at 51 titans on that killmail and there were at least as many still left to count, and that doesn’t even include the supers. Lets just say there were a combined 200 titans and supers, plus 1300 more caps and subcaps there. What would have been a “reasonable number of their own people showing up” that would have helped save it? Short of NC. or PL committing their own super fleets, what could have stopped it? Side note: PL publicly posted on reddit “#fuckSC” when SC apparently did ask for their help. This is obviously a case of intentional blue balls. As a Goon you should clearly recognize that tactic, but as Goon I suppose doing that publicly would somehow get your Imperium propaganda badge revoked. If SC and pals had shown up with 700 man fleet than this article would have been titled “Goon Legacy dunks Keepstar and defense fleet in Aeschee”. You can either be a liar or a hypocrite, but please don’t be both. Let’s do a little thought exercise that might help you understand better where I’m coming from. 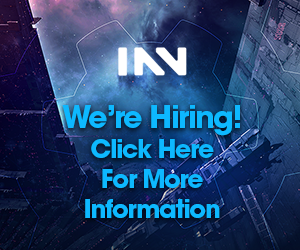 Imagine that you run an EVE news website. A battle happens in which one side loses 320b. Is that battle worthy of an article? Unquestionably yes. There are not many battles in EVE this year that have topped 320b. Okay, so now what does the article say? If it had been an actual combat, then the article would have been about the battle: what time the fleets came into the system, how they maneuvered, who targeted who, and so on. But what if there was no combat? Then the fact that there was a 320b battle, with no actual battle, is itself the story. And the strategic implications of that story are that Goons hold grudges, for years if necessary, and pay back the people who did them wrong. That’s the only reason this fight happened. I’m not sure you know what hypocrisy is. We dunked an undefended Keepstar, so the headline says we dunked a Keepstar. If we had dunked a Keepstar plus a fleet, the headline would have said we dunked a Keepstar plus a fleet (though the content of the article would have been different). Both of those are dunkings. If we had fought a Keepstar plus a fleet and lost, the headline would have reflected that – my very own article from this past Tuesday says “PL Defends ZMV9-A Fortizar.” That was a loss and was reported as a loss. This is a victory and was reported as such. But the two salient facts – neither of which are lies or hypocrisy, contrary to your assertion – are that Goons scored a 320b kill against an undefended Keepstar, and that they did so because the owners of the Keepstar wronged them two years ago. So that was the article. Not really sure how hypocritical it is to team up with an alliance that’s been alternatively friend or foe depending on the weather, the phases of the moon, and whether or not someone got up on the right side of the bed that morning. All this hurf blurf from goons across null and now low sec reminds me of the days leading up to the formation of low sec voltron and money badger. The primary reason for the Casino War was SMA defrauding IWI. I’ll freely admit the Viceroy program was an attempt to make people angry enough to come at us. I just want to point out that this comment did not age well.